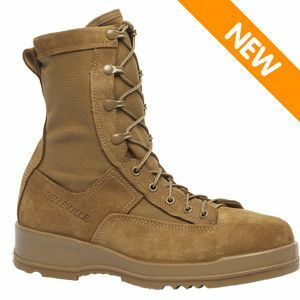 The Belleville 330 COY ST Men's Hot Weather Coyote Brown Steel Toe Flight Boot is made for all U.S. Navy, U.S Marine Corps and U.S. Air Force pilots looking for nice and durable hot-weather boots. 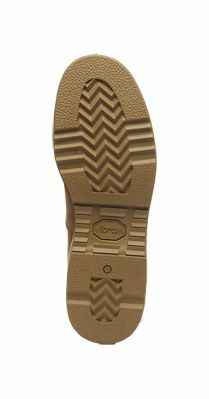 The VANGUARD sole construction combines a cushioned polyurethane midsole made 100% of rubber and has a VIBRAM Chevron outsole that meets all military flightline requirements for FOD. The model features a removable insole and anti-microbial lining, both of which are intended to minimize bacteria growth thus the unpleasant itching and odour of your feet. Moreover, your feet and especially the toe zone are protected by the ASTM certified/EH rated steel toe incorporated in the boot upper so you won't notice. The certified cowhide leather and WT-2 flight-fabric upper make the boots truly durable and comfortable to wear on all kinds of terrain. 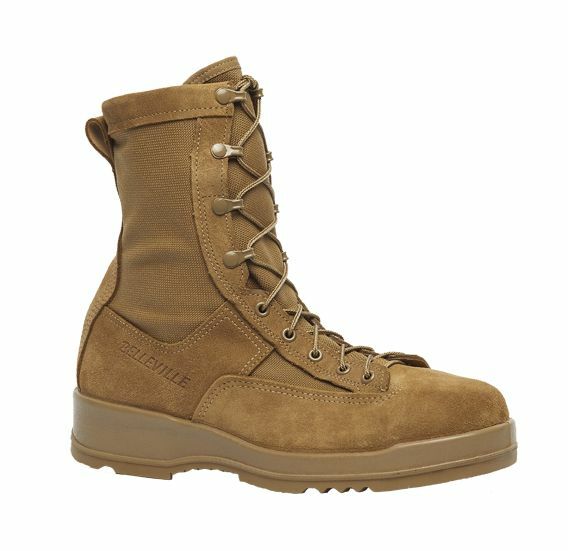 This boot exceeds all required military aviation boot requirements.